A taxi drove into a crowd of pedestrians near Moscow's Red Square on Saturday, injuring eight people including two Mexicans in the city for the football World Cup which Russia is hosting, officials and eyewitnesses said. 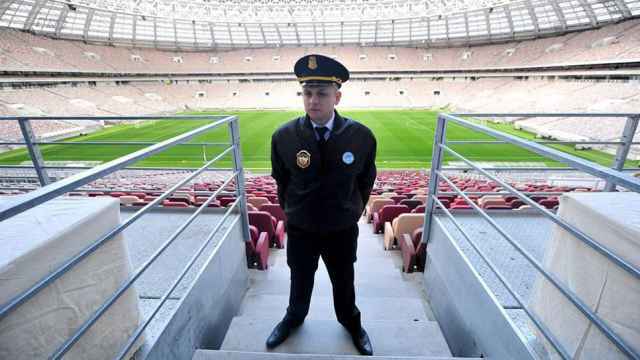 The incident took place as residents and visiting football fans from around the world thronged the center of Moscow on a balmy summer evening. Moscow's traffic management authority said the taxi driver had a driver's license issued in Kyrgyzstan, a mainly Muslim ex-Soviet republic. The authority cited the driver, who was in police custody, as saying he had not driven into the crowd on purpose. The city's police said they had opened a criminal investigation into suspected violation of the traffic code. Moscow city's healthcare department issued a statement saying eight people were hurt and had been taken to hospital. It said seven were in a satisfactory condition, while one woman was seriously hurt. The Mexican embassy in Moscow said two Mexican women had been lightly injured. 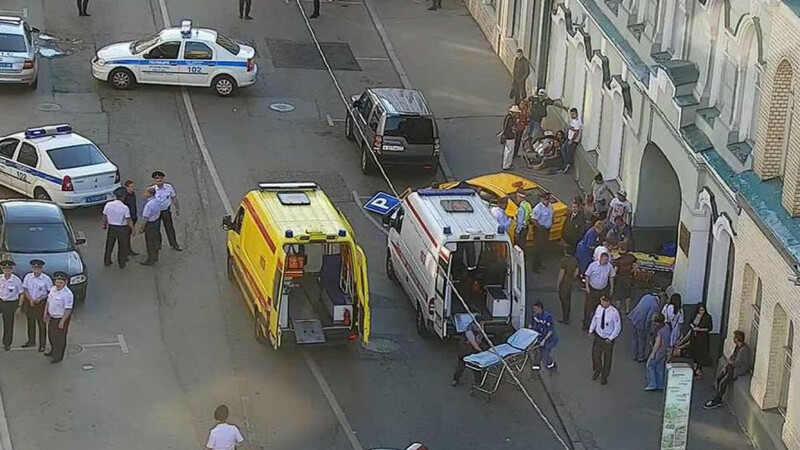 Also among those hurt were a Ukrainian and two Russian citizens, Russia's TASS news agency quoted a source in the emergency services as saying. The taxi came to a partial halt after hitting a traffic sign. As bystanders tried to pull open the driver's side door, the driver, dressed in black trousers and black T-shirt, jumped out and sprinted away. Moscow city transport authorities tweeted a picture of the scene of the incident after shortly ambulances had arrived. A witness at the scene said that some of the people hit were wearing Mexican team colors. Mexico take on Germany on Sunday in their first World Cup match at Moscow's Luzhniki stadium, and thousands of Mexican fans are in the Russian capital. A second witness at the scene told Reuters about the driver of the taxi: "He was pulled out of the vehicle, he ran off but bystanders apprehended him. He was shouting: 'It wasn't me'." Describing the actions of the driver, she said: "He ran into a group of Mexicans. There were shouts, moans. He was only stopped because he hit a traffic sign." "It's scary that it was in the center (of Moscow) and I was right opposite," she said. 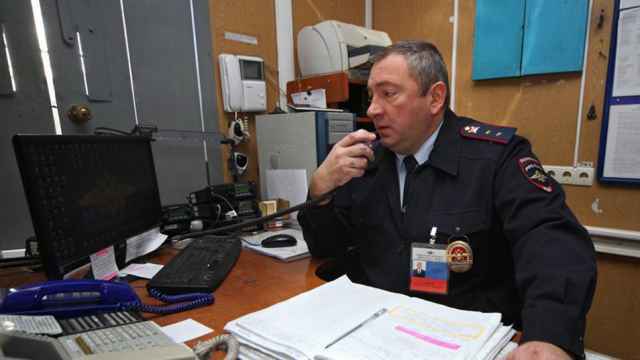 Interfax news agency cited a source as saying that the driver was drunk at the time of the incident. A medical source cited by Interfax said none of the people hospitalized was critically injured. The Moscow traffic authority posted on Twitter a copy of what it said was the taxi driver's license. It gave his name as Chingiz Anarbek Uulu and said he was born on April 22, 1990.